RULLY – Laurence Jobard has gained great acclaim as one of the best oenologists in France. She has been the head winemaker for the Joseph Drouhin family for over 20 years. 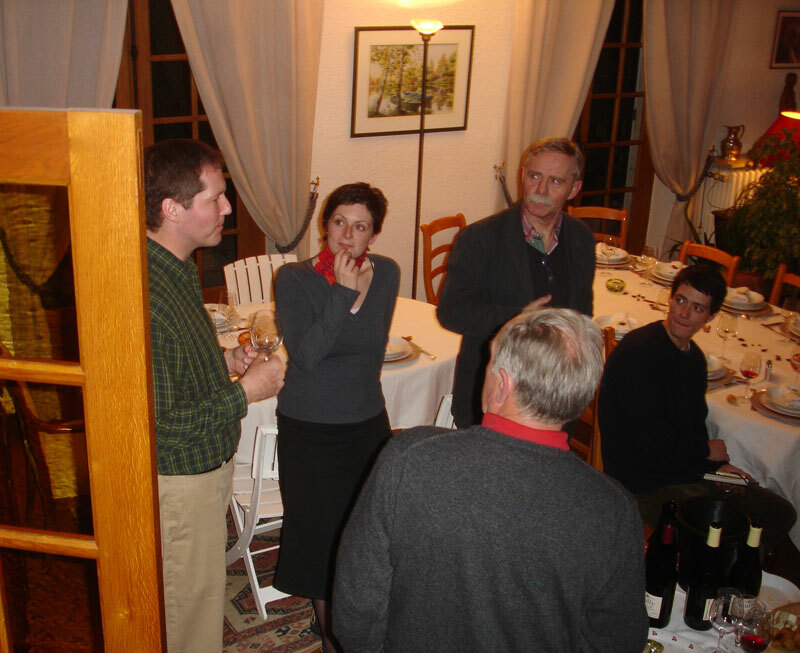 While she has retired from that position, she remains very active in the winemaking for her familial estate. Laurence has trained her daughter, Claudie, in the art of winemaking. “The love of winemaking” has been transferred from parent to child in this esteemed family for several generations — Claudie is the 8th generation. But in today’s world, Laurence has sent Claudie around the world to round out her winemaking skills. Now, Claudie has started her own small estate – with fruit from her dad’s ancestral vineyards and using the family’s garage as her boutique winery. Under the watchful eyes of her famous mom, Claudie simply makes wonderful wines. She is meticulous in the fields because she knows you cannot make great wines unless you start with great fruit. Claudie also knows that the wine is mostly “made” in the vineyards, not the cellars. Therefore, she strikes a balance between letting the terroir and grapes express themselves while also adding a few loving touches to influence the process. These wines represent great value. Rully is not as famous as Pommard or Chassagne-Montrachet. But the wines are most tasty. And we don’t pay for the reputation either. So, these wines are less expensive for similar quality. Excellent wines at a fair price = great value. As you might expect, these wines are very limited. And they are not widely available. Being a family friend has its benefits as I get access to these wonderful wines from one of the “rising star” winemakers in Burgundy. And now you have access, too. Please call us to learn more about our Jobard, Claudie Wines and their availability.